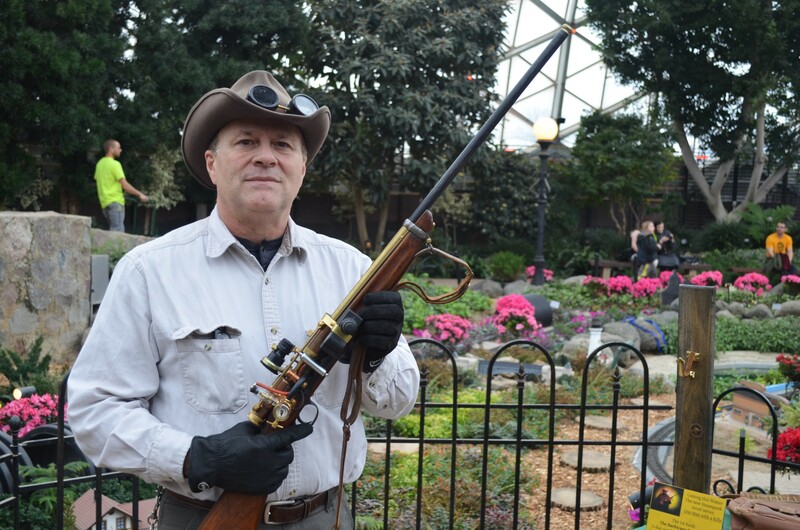 Chuck Ranum & The Barbicane Rifle. Photo by Jack Fennimore. Steampunk enthusiasts stormed the Mitchell Park Domes for the 5th annual Gardens & Gears Steampunk Faire. 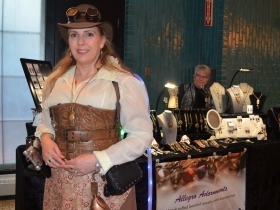 Steampunk is a sub-genre of science fiction that’s similar to cyberpunk but instead of embracing advanced digital technology it embraces the steam-powered technology and fashion of the 19th century Victorian era, according to The Huffington Post. The stories take place in worlds with alternative histories where steam technology was never replaced and powers advanced technology such as cars, airships and computers. The sub-genre has inspired many artists, costume designers and makers with its unique aesthetic. 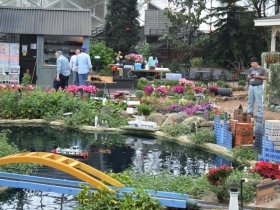 So why not at the Domes, where guests lined up for a variety of Steampunk-themed activities. 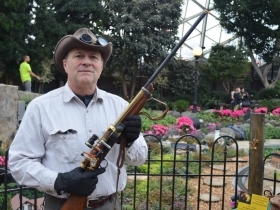 Chuck Ranum showed off his homemade “Barbicane Rifle” made from vintage parts including a 120-year-old wooden gun stock as well as a grill igniter for its sparking parts. He even wrote a book to go along with it, The Barbicane Prototype, due out this November on Kindle. 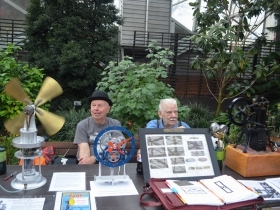 Brad Smith and Robert Calhoon demonstrated their handmade kerosene-powered fan and magnetic clock. 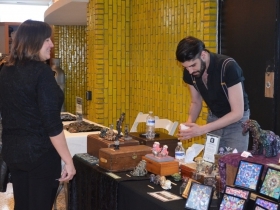 Vendors lined the lobby of the Domes selling all manner of Steampunk-inspired clothing and art. Meanwhile the Bryan O’Donnell Band played in the Show Dome. The Education Center held lectures talking about the history of the Steampunk sub-genre as well as Milwaukee’s industrial history. 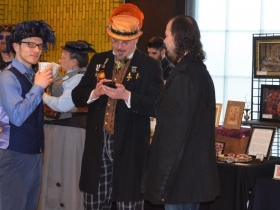 The Domes’ next event will celebrate the spring equinox with guided sampling tours, astronomy, animals, music demonstrations, Tai Chi and other activities on March 17 from 9:00 a.m. to 4:00 p.m.
Our photos capture all the Steampunk-themed action.